I’ve been receiving tons of emails, comments posts and Tweets wondering about Sofia the First. (Because the Disney Blog released a confusing post – repeatedly) Sofia’s appearance was delayed (and I posted about that on June 23) that Sofia’s first appearance at Hollywood Studios would be on August 11. Recently the Disney Lifestylers reported that Cast Members were telling guests that Sofia would not begin appearing until August 19th. (I find it easiest to just say mid-August). They are designing a new backdrop for Sofia and Jake. Sofia will take Manny’s place in front of Disney Jr, BUT will NOT take his place in Hollywood and Vine, nor will she currently be added to Hollywood and Vine rotation. I’ve not heard of any date set for Doc McStuffins appearance in the parks. I do know that she will make her first public appearance at D23 very soon. If history tells us anything, it will be several months before she is ready to move into a park meet. I’m wondering where they would put Doc at Hollywood Studios. The only place that comes to mind is the Animation area. Jack Skellington and Sally are reportedly going to begin appearing at Mickey’s Not So Scary Halloween Party this year! Walt Disney World recently hosted auditions for CMs who want to be friends with Sally. Perhaps the single weekend last year with 4+ hour long lines convinced them to add the couple to the MNSSHP rotation. This meet would be VERY popular and would take the Dwarfs place as THE meet at the parties. Some feel that they may meet in the Magic Kingdom throughout the day during Halloween season as well, but that remains to be seen. Monsters Inc instead of Buzz for MINSSHP? Some have rumored that Mike and Sulley would come over to join the Party and take Buzz Lightyear’s spot at Mickey’s Not So Scary Halloween Party only. I also heard that they were considering adding some the old Pixar parade characters to the party. The rumor pointed to those Pixar characters appearing for a new Monster’s Inc themed Dance Party that would take the place of the normal Stitch dance party in Tomorrowland. I heard numerous times on my recent trip that Tinker Bell and the other fairies would take over Town Square Theater left side after the Princesses move out. The Princess meet is coming along nicely and I’ve heard reports that it could open for testing some time in September. If the fairies do indeed move over, it would take a while to re-theme the meet area before they move over. Anna may be located in Norway? I’ve heard from several people that they are hearing that Anna from the movie Frozen would be located in Norway, but I can’t see where the meet and greet would fit in Norway. Someone suggested that she would meet in the Fastpass area or inside the store like Pooh/Tigger, but both areas are pretty small and she will be a popular character. Princesses and “Ladies” tend to draw some of the longest lines for characters. It remains to be seen if Elsa or other characters will appear. The movie Frozen releases in November. I heard that Ariel’s new dress design didn’t turn out like they had hoped, so it was delayed. Ariel was supposed to begin wearing the new dress at Akershus Royal Banquet Hall in June, but it’s looking more like an August premier. Snow White is supposed to get her new threads in October, if all goes as planned. 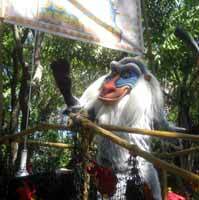 If the rumors are true, Animal Kingdom will no longer offer a parade beginning January 2014. If that were true, there would be no parades in Walt Disney World from January until Spring 2014 when the new Magic Kingdom parade begins. It’s getting pretty sad in the Entertainment department with all the removals and scaling back that’s going on. What about the two parades currently at MK? Are they being cancelled in January? I’m going 9/17-9/22, I really hope they get the Anna Frozen stuff together during that time frame. Sofia is my daughter’s favorite. We will be there on Auguest the 15th, so we are hoping she will be there starting on the 11th!!!!! I can only hope that at mnsshp they put some new villains out especially for the mix and mingle show.It always feels like the same thing every year! !They need a new villain to show up maybe shan yu,stromboli,hades..I hope character fans can reach out to disney cast members and remind them that halloween is about the Villains! What about the MSEP at MK? Will that be eliminated as well? We are going in January. Not sure. We’ll see. It is a really old parade. Move it Shake it parade still on? Still running right now. Don’t know about the future though. It’s not really a parade though, it’s a dance party on wheels. Great article on our fav Sophia! Great details. I hope they keep parades…often them have fun character experiences in them with the walking ones. Also they sometimes feature characters you do not see elsewhere. I wonder if you heard anything about Periwinkle coming back this winter with Tinkerbell? This gonna be my very first time to join the MNSSHP, do u know they still hv seven dwarfs this year? Probably so, they are pretty popular, but don’t know anything for sure. What is happening to the parade at HS? Already happened. It was eliminated along with Disney Channel Rocks a while back. I agree. Jammin’ Jungle is a great parade and it will be sorely missed from AK, IMO. Can you elaborate on the parades? Is the 3pm parade in MK going away too? What do you mean by no parades? Thanks! MK 3:00 parade will go away at Christmas time and a NEW 3:00 parade will not begin until Spring 2014. DHS has already eliminated theirs. I guess having jack and sally would be nice even though they were at downtown disney last yr..I just think that mnsshp have been really lame and im all about the villains.I mean how bout bringing out some real villains for once instead of the same ones every yr on stage.Wheres shan yu,Hades,Big bad wolf,foulfellow,pain and panic,bowler guy,gov ratcliffe! !Disney charges All this money for these parties and they need villains.After all its Halloween its there time to shine. I’m going mid October and only want to eat at h&v if Sophia will be there. What’s your speculation? As I stated in the article, there’s currently no plans to add her there. Just meet her in the park when she arrives. Any details about the Minnie meet area in Hollywood Studios that you alluded to in the title of the post? Lol, forgot to mention that. I know they are going to do some extra construction, perhaps shade structures for Hat character meets and I heard that Minnie may get her own meet in Animation next to Mickey or with Mickey. If it’s with Mickey, could that possibly mean a new Mickey costume, to match Minnie’s current outfit? I just can’t imagine Sorcerer Mickey meeting alongside Hollywood Minnie. There’s some construction going on in Animation off to the side of where Mickey currently meets. DHS is also the only park that currently doesn’t offer FP+ enabled meets. Why move the fairies? They already have a nice meet and greet area. Why not use it for adding new characters ? I mean, if they play it right, they could actually create a nice buzz for new interesting characters. A little Limited Time magic all the time? Why move the Fairies? FASTPASS+ The Theater area is already set up for this and the Adventureland location isn’t. Hope the rumors of Monsters Inc and Jack and Sally are true. We are attending our first ever MNSSHP and would be very excited by this news.